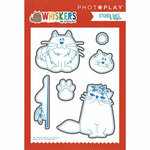 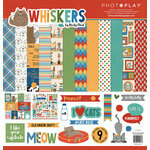 Color in these pretty kitties on the Black and White Cats Color Me 12" x 12" Double Sided Paper from the Whiskers Collection by Photo Play Paper. 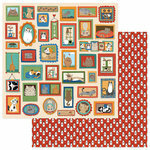 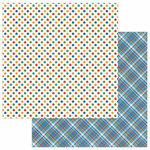 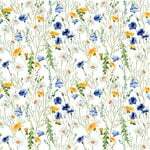 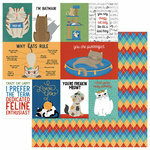 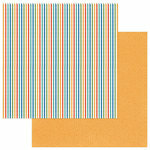 There is one sheet of paper included that is designed by Becky Fleck and made in the USA. 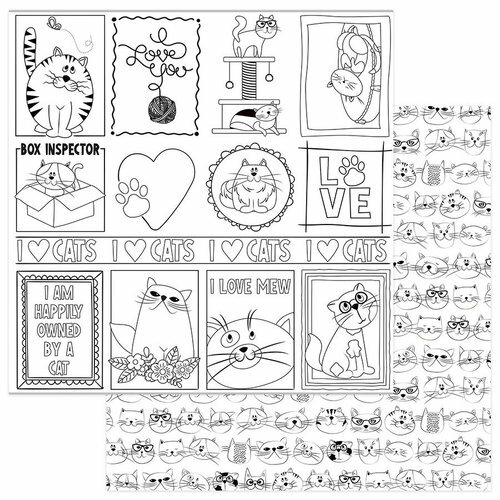 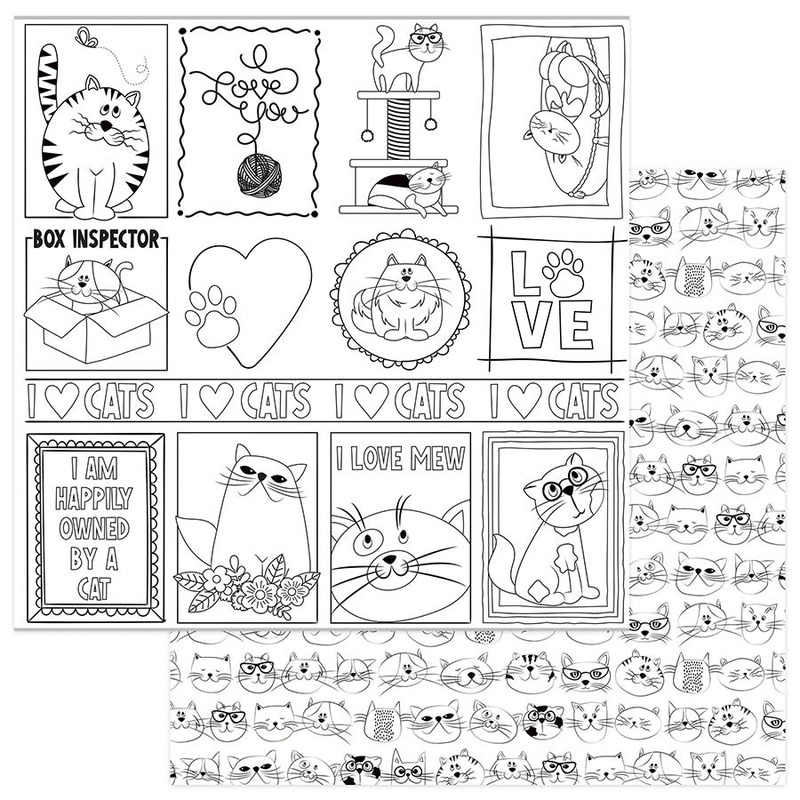 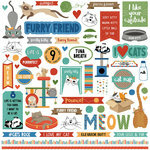 The paper has black and white doodles of cat faces on one side and cut apart pieces with cats and phrases like "box inspector," "I love mew" and more on the other.